These upper back strengthening exercises will help strengthen the muscles and help prevent back injury and minimize back pain. 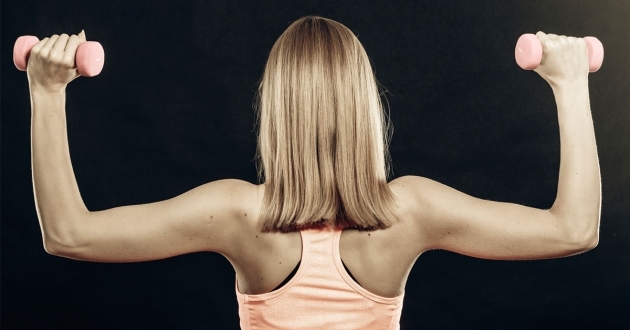 The back muscles are critical for everyday tasks such as lifting, twisting and general movement. There are various muscles in the upper back that you want to ensure you strengthen. The two larger upper back muscles are the Lattissimus Doris, or your Lats, and the Trapezious muscle. When planning for your strength training exercises be sure to save enough time to also strengthen both the upper and lower back muscles. Although it is primarily the lower back that is more prone to injuries you also want to strengthen the upper back for complete core training and stability. The upper back is comprised many different muscles. The major muscles include the Latissimus Dorsi, the Trapezius an the Rhombiods. This muscle, more commonly known simply as Lats, is the largest muscle in our backs. The main function of this muscle is to move our upper arms down and to the side. It also pulls your upper arms down and in front of your body--with help from your lower pecs--and rotates your upper arms inward. There are 2 rhomboid muscles - the major and minor Rhomboid. The rhomboids connect your thoracic spine to your shoulder blades. The main function is to pull the shoulder blade, shoulders (as well as your shoulder and arm) back and inwards toward the midline of your body, toward your spine. This diamond-shaped muscle lies on top of the rhomboids and part of the lats. There are upper and lower fibers to this muscle. The primary actions of this muscle includes pulling the shoulder blades together (retracting the scapula), depressing the scapula and elevating the scapula. Because the trapezius runs in different directions, it is involved in all the above mentioned movements. Other muscles associated with the upper back are the Deltoids, Scapula, Infraspinatus Teres Major and Minor muscles. The Deltoids, Scapula and Infraspinatus are associated more with the shoulder exercises when talking about strengthening than they are with the upper back. The Teres Major and Minor support arm movement and rotation and are smaller upper back muscles. In addition to these upper back strengthening exercises, be sure to check out the lower back strengthening exercises to strengthen your entire back. For a full list of all free exercise videos on this site, visit the fitness video page. Check out the fitness video series for working on your obliques. These are the side muscles of your abdominal and help us twist and turn our bodies. This is yet another series of videos to strengthen and tone your stomach muscles. The transverse abdominal is one of the most under worked muscles in our bodies. When you are done giving your stomach a complete workout, check out this article. To really lose belly fat you will need to put away the exercise mat and grab your running shoes.